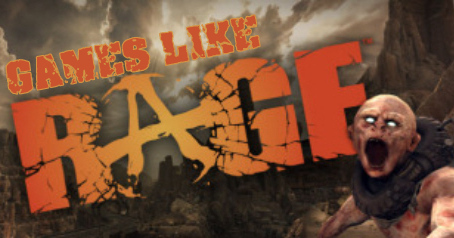 Rage is a first-person shooter video game developed by id Software. The game is set in a post-apocalyptic near future, following the impact of the Asteroid 99942 Apophis on Earth. The game primarily consists of first-person shooter and driving segments, with the player using his vehicle to explore the world and travel between missions. If you are a fan of First-person shooter games like Rage and looking for more games with similar gameplay then find the recommendations for it below and don't forget to mention if we miss any games as we keep on updating this list. Borderlands 2 is an action role-playing first-person shooter video game that was developed by Gearbox Software and published by 2K Games. The game is set on the planet of Pandora. The game has many features such as online collaboration, randomly generated loot and character-building elements. Borderlands 2 was one of the best selling games of 2012 with a total shipment of over 5 million copies. Doom 3 is a science fiction horror first-person shooter video game developed by id Software and published by Activision. Main objective of the game is to successfully pass through its levels, defeating a variety of enemies intent on killing the player's character. The games in the BioShock series are first-person shooters survival horror video games with role-playing elements developed by Irrational Games and considered to be a spiritual successor to System Shock 2. Dishonored is a 2012 stealth action adventure video game developed by Arkane Studios and published by Bethesda Softworks. The game is set in the fictional, plague-ridden industrial city of Dunwall. The game is played from a first-person perspective with an emphasis on stealth action and the use of gadgets and the environment to eliminate opposing forces. The Elder Scrolls V: Skyrim,....if you can think of more, then don't forget to mention it in comments.